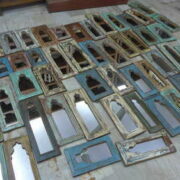 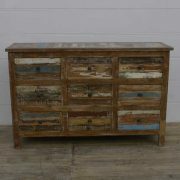 A Large Reclaimed Chest of 9 Drawers. 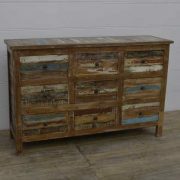 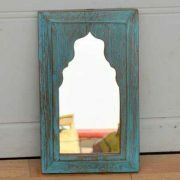 Manufactured using reclaimed materials in colourful Rajasthan, this large, spacious chest of drawers is the perfect storage solution for any bedroom, living room or dining room. 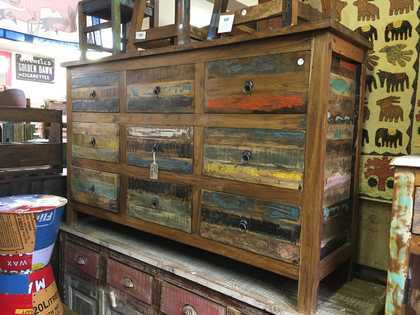 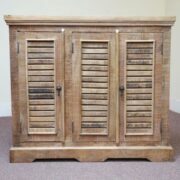 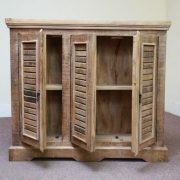 Finished with various colours including blues, browns, yellows and greens, this rustic yet durable piece consists of nine equally sized, deep drawers perfect for storing clothes, household items or knick knacks.